One reader will win a Bacon Elements T-shirt! Winner will receive the Bacon Elements T-shirt in size of choice. Giveaway will end Tuesday, January 31st at midnight MST. Winner will be chosen by Random.org. I received one or more of the products mentioned above for free using Tomoson.com. Regardless, I only recommend products or services I use personally and believe will be good for my readers. Email addresses will be deleted after giveaway. Your privacy is important. REAL GIRLS EAT BACON is my favorite. My favorite is "There Is so many ways to say I love you but Bacon is the Fastest"
We like the "Bacon is Meat Candy" shirt. These are all cute. I especially like Real Girls Eat Bacon. I like "Who ate all the bacon?" 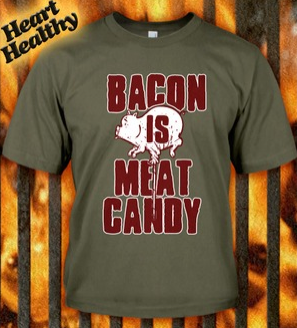 My stepson would LOVE the "Bacon - The Cure For Vegetarianism" T-shirt! My favorite is "BACON YOU LIKE THIS"
Trust Me I Eat Bacon....such a true statement! LET'S PLAY BACON FIRST WE'LL GET FRIED THEN I'LL EAT YOU is my favorite shirt. I liked the Love at First Bite shirt. I love the Kevin shirt. I like body by bacon. 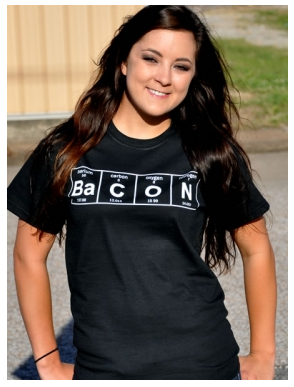 The bacon elements tee is my favorite. My husband would love it! 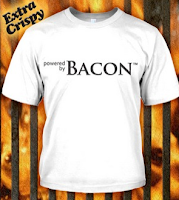 the Bacon Element tshirt is fabulous! 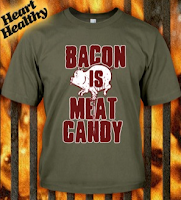 I love the Bacon is Meat Candy shirt!